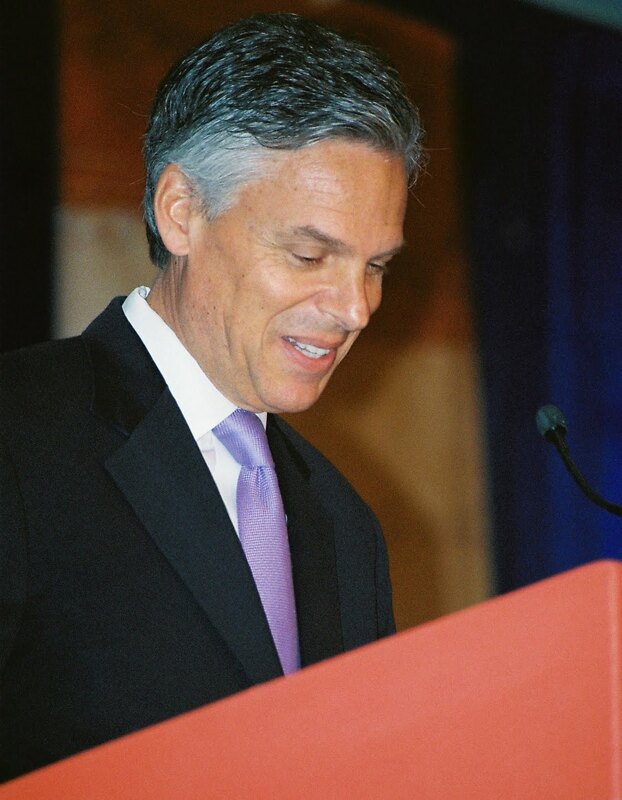 Yesterday, former Utah Governor Jon Huntsman suspended his Republican presidential bid (see post here about the importance of suspending instead of ending). Fluent in Mandarin Chinese, the former U.S. Ambassador to China and former U.S. Ambassador to Singapore clearly had the strongest foreign policy credentials in the race (the photo is one I took of him last June just as he started his campaign). Additionally, Huntsman quickly emerged as a reasonable Republican in an age of unreasonableness. Although more conservative in policy than often framed during the campaign, his tone was one of moderation and civility. He started his campaign by urging more political civility (see post here) and ended it by calling for fewer negative attacks in the campaign. Ultimately, it seems Republican voters over the past year were not interested in calm, sensible rhetoric; instead Republicans voters spent most of the campaign excitedly jumped behind candidates willing to spew over-the-top aggressive attacks on President Barack Obama and other Democrats. Interestingly, Huntsman was also the Republican candidate this cycle who least used confessional politics (see post here). Perhaps we will see Huntsman again on the national scene when the political tides change.